Modern life is immersed in technology – we use our smartphones for everything from making phone calls and sending emails to researching, watching videos, listening to music, and even shopping. From finding the best deals to getting cash back on your purchases, shopping apps provide a variety of ways to make your necessary (and not so necessary) purchases easier on the budget. A little bit of extra effort can result in big savings, and sometimes the only effort required is downloading an app. This app is most beneficial for the biggest shopping day of the year (and the official kickoff to the holiday shopping season): Black Friday. This app, and the website it's derived from, receives Black Friday ads and sales as soon as they're published – sometimes weeks in advance. And having them all in one place to search is incredibly convenient for the avid Black Friday shopper. Brad's Deals will help you sort through the deals that are currently out from hundreds of stores. Brad's Deals doesn't sell anything directly, but aggregate all the best deals for you from all the most popular stores and then some. The app does Black Friday sales particularly well, but it sources and categorizes the best deals and lowest costs on hot products all year long. If you want to see the best of the best, and not get bogged down with searching through an overwhelming amount of content, this is the app for you. 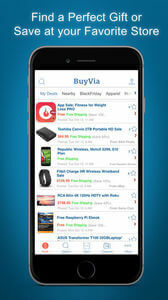 BuyVia identifies the very best 10 deals each day, ranked by people just like you. And by people like you, we actually mean you, yourself. Users upvote the deals they like best and BuyVia ranks them daily. But don't worry; the app lists all the deals, so if you really need to peruse a thousand sales, knock yourself out. 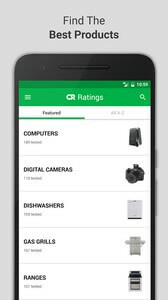 The cPro app is just like the Craigslist website, so you'll need to use the same level of caution you ordinarily do when making purchases from other individuals on Craigslist. You get no guarantees or insurances, but when you look carefully, you can certainly find the best deals around. You'll often even be able to find new products you wouldn't otherwise be able to afford. 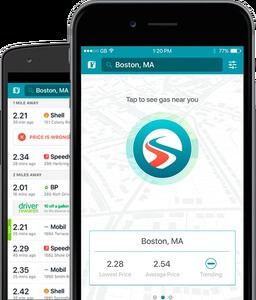 Whether you're driving in an unfamiliar area or your area just has vast differences in gas prices, this app can really save you money on your gas purchases. Even if your town has a gas station that is notorious for "the cheap gas," you can still check who actually does have the lowest prices with this app before fueling up. Have you ever been driving and remembered you need to replace your blender? With voice control, you can do it without ever taking your eyes off the road or your hands off the wheel (though it will definitely be tricky). This app will allow you to access stores like Walmart, Target, and Costco (and so many more) for your purchases through one site. And, as long as you're not driving, you can browse the Google Shopper app and see exactly which store has the best deal – and even buy it right from the app. This app is one you'll install onto your browser as an extension that will automatically show a notification on the top of your browser for any product, flight, hotel, or rental car for which you're shopping. (Note: This can be installed on your iPhone or desktop, but will not work with installed shopping apps, only your browser.) It will tell you the exact percentage of savings you could get by going with another site or store by subtly linking you to all the sites with lower prices. Many key fobs don't even have keyrings on them these days, so keeping track of your loyalty cards for every place you shop is almost impossible. Key Ring allows you to store all your loyalty card info in a single app, so you can simply load a bar code to scan during checkout. Everything that is accessed with a loyalty card will then be accessed by your phone – including coupons and sales. This app will allow you to see the deals in your neighborhood. 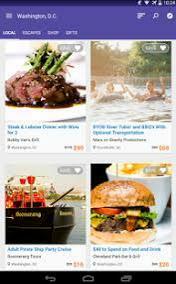 Plus, LivingSocial obtains more discounts and deals on all of the above exclusively for users. Local businesses offer these deals in order to attract new customers. 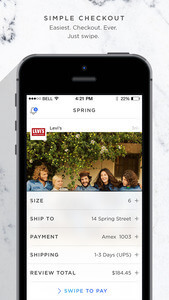 For those who love to shop local, LivingSocial is an app you'll want to download. This UK-based app will give you updates on the sales from your favorite fashion brands as soon as they post so you'll know the best time to shop – which you can do right from the app. 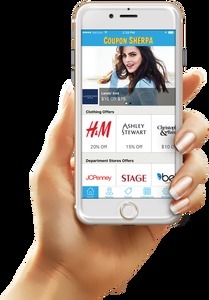 Find deals and purchase from your favorite "mall" stores like Forever21, Adidas, Gap, Urban Outfitters, and more, all through a single app. 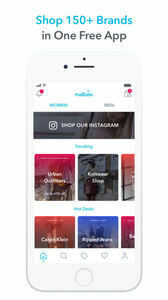 Plus, Mallzee maintains a daily style feed to keep you up-to-date on the latest fashion trends. This app itself is completely free, but after installing it you'll need to login and access your account, which is an annual fee of $35 or monthly fee of $6.95. With your account you'll see reviews of products, the best and worst products in each category, and buying guides for thousands of products used daily. And the best part – the part that makes it worth the money – is that these reviews aren't just based on a random person's opinion; products are all tested thoroughly before review and ranking. Shop Savvy helps you make sure you're getting the best possible deal before you fork over your hard-earned cash. The best feature is the barcode scanner that will allow you to scan a product in a store and discover all the deals available for it online. In other words, no more buying something in the store only to find it cheaper (or on sale) somewhere else later. And even if you're not getting the best deal, you'll be able to weigh exactly how much the convenience of getting it right now is worth to you. You can also browse categories to find products and the best available deals. 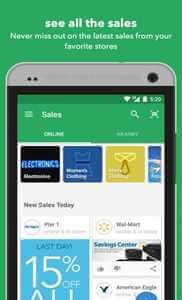 You can't buy anything directly from this app, but it will link you to the best deals on virtually everything. When a member finds a good deal, they post it and get upvotes from appreciative users, and that generally clues you in on how good the deal is. 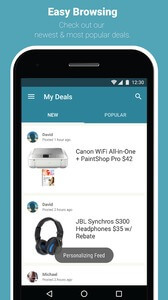 SlickDeals is an incredibly popular app, so you can trust that it truly delivers the best deals on the products you need (and want). 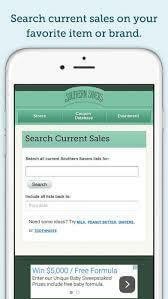 With the Southern Savers app, you can search for coupons on a specific product. Local ads are posted as soon as they're available, so you can be sure you're getting maximum savings. 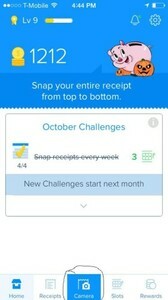 This is a useful app for those interested in extreme couponing, but it's so much more. You can view a specific store ad, create a shopping list from that ad, and then search coupons available for the products on your list. It's really a one-stop savings app. Checkout51's big selling point is that you simply scan in your receipt from one of dozens of preferred stores, and each receipt will earn you credit for cash back. After you've built up $20 cash back, they'll mail you a check – it's that simple. 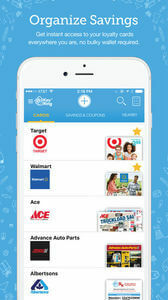 But this app actually features a few more perks that are worthy of note, particularly that you can load coupons directly from the app rather than searching the paper and spending hours clipping coupons. 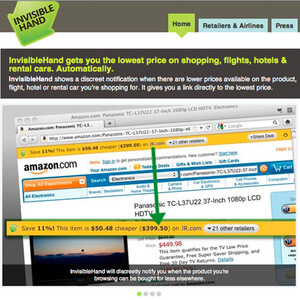 It also gives you access to deals and offers at your favorite stores, posted weekly. CheckPoints turns shopping (and scoring great deals) into a game of sorts. The app lists products at specific stores and you get points for scanning the bar code of that product. You don't even necessarily have to buy the product; you just need to scan it. 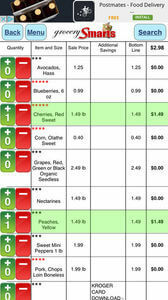 Each product has a set number of points, and you'll know before you scan what you're getting. And if you're not in a store to participate in the product-scanning activities, you can still take surveys, watch video ads, and even play games for more points. Once your points add up, you can cash them out for gift cards from Amazon, Walmart, American Airline miles, and other perks. 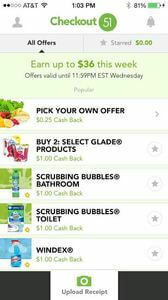 This app is an easy, hands-off way to earn cash back on your purchases. 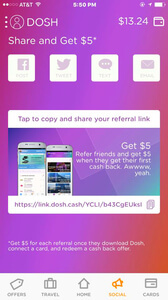 Simply add your credit and debit cards into the app and for each purchase you make using those cards, Dosh will search for available deals or coupons and apply them to your account. You don't even need to search for the deals; Dosh just makes sure you get them – even retroactively. Ebates shows you current deals and offers a percentage of your purchase as cash back from your favorite retailers when you visit those retailers via the Ebates app. With cash-back offers from stores like Walmart, Kohl's, and Walgreens, you can get cash back on many of the purchases you're already making. Ebates offers exclusive app-only deals on iOS and Android, and you can even earn cash back on in-store purchases. While you won't earn actual cash, you'll earn credit on Google Play for answering a few questions via the Google Opinion Rewards app. 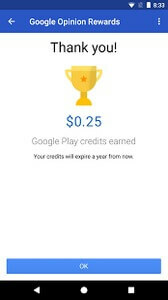 You can use those credits for anything you can purchase in the Google Play Store, from ebooks to digital movies, television shows, apps, games, and more. 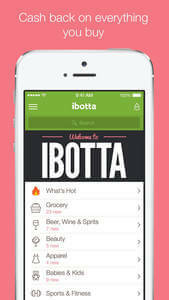 With Ibotta, you can search for items before you buy them and add them to your account. When you purchase those items from stores where you have a loyalty card, the credit will automatically be added to your account. If the store you're shopping at doesn't have a loyalty card, you'll simply need to scan in your receipt to get credit for your purchases. Earnings are paid out via PayPal or Venmo, or you can choose from a variety of gift cards. 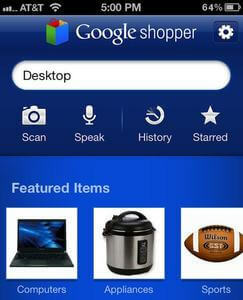 To shop with this app is to shop using your mobile phone's browser without any further thought. 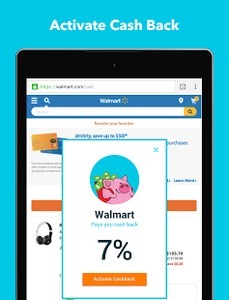 When you first visit a site's page, Piggy will pop up and let you activate a 1-20% cash back award. And when you go to check out, Piggy will automatically try a series of coupon codes and present you with the best combination of codes (if coupon codes are available) to maximize your savings. ReceiptHog gives you points for receipts from any store or restaurant. Simply scan in the receipt you already have; no need to tailor your shopping for specific stores or products. And your payout will come in the form of a credit to PayPal or an Amazon gift card. This app allows you to earn kicks (their version of points) for simply walking into a nearby store. You don't even have to make a purchase; you can get kicks simply by scanning a product in the store on a kind of "scavenger hunt." But if you do buy the product, you can scan your receipt in and submit it for even more kicks. Redeem your kicks for gift cards at a long list of stores including your local grocery store, Amazon, Walmart, Target, and so many more. 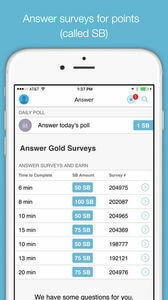 This app will let you earn points or "Swag Bucks" (SB for short) through a variety of methods. You can shop local deals or specific online sites, watch videos, or take surveys. Once you've got $5 or more, you can redeem your earnings for gift cards at your choice of stores, including Amazon, Walmart, Target, Starbucks, and more, or even get credit through PayPal. Earn gift cards for your favorite stores with Viggle, which rewards you for watching TV (yes, really!). Just login to the app, check in to the TV show you're watching, and earn points for every show you watch – then, redeem your earnings for a gift card, products like a tablet or laptop, or a Perk Plastic prepaid debit card. Coupon Sherpa has coupons and discounts for hundreds of stores (including Kohls, Target, Old Navy, Best Buy, and more) uploaded and organized for easy browsing. You can even use your phone's GPS to find deals close to you. Browse all store sales or add your preferred stores to your favorites to keep your bargain-hunting organized. 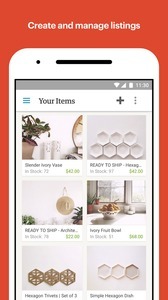 Flipp makes it easy to find ads from 800 retailers, including coupon inserts. Clip products from the ads and create a shopping list, clip the coupons, and redeem them by uploading your receipt. The advertisements are categorized, so you're not forced to browse through dozens of ads you're not interested in. There's no minimum required for cashing out, either, so you can get access to your rewards anytime. Grocery Smarts has a name that's somewhat deceiving – it's not just for groceries. 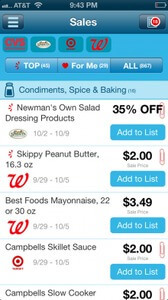 This app constantly updates the deals from their big 5 stores: Walmart, Target, Walgreens, CVS, and Rite Aid. And the absolute best feature: the app cross references all possible manufacturer coupons with the circular ads of those stores to find the maximum savings. That's how extreme couponers do it: double up, cross reference, and buy a bunch. Grocery Smarts always has current prices from each of these stores, so you'll always know exactly how much you'll be spending. Get coupon codes for stores that you can use online or in person with RetailMeNot. The app keeps track of barcodes and number codes, providing a success percentage rate based on users who have already tried to redeem the offer – so you'll know how likely a given code is to work before you try. If you get an email update from each of your preferred stores, you're probably swamped with all the discounts and sales going on in your inbox. In fact, you may have them all filtered to go to a spam folder so you never even see them. 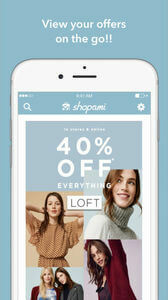 Shopami links with your email account and sorts your email offers, organizing them in one convenient place. Offers are listed by expiration date, and you can manage your notifications so you can get the information you want when you want it, never missing out on a great deal. If you're still getting (and using) those Sunday paper coupons but wish there was an easier way, Snip Snap makes it possible to digitize the process. Simply snap a photo of the coupon you want to use with this app and be on your way. At the cash register, show the cashier the barcode to redeem it. 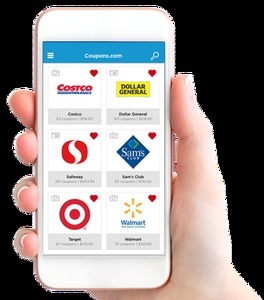 This will work for barcodes, photos, and promotion codes – however you normally would get a coupon, this app will take care of it without the actual coupon clipping. 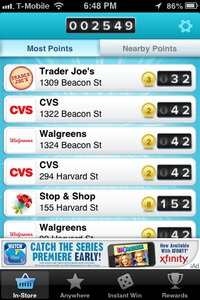 In fact, you can even look up your coupons scanned by friends and family and use them, or search the app for others. 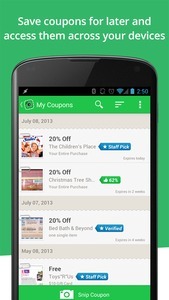 On this app, you can search for coupons on specific items or overall store/restaurant coupons. Offers range from buy-one-get-one free entrees at your favorite restaurant to $1 off your favorite yogurt at Kroger, or 10% off your next purchase at your favorite retailer. 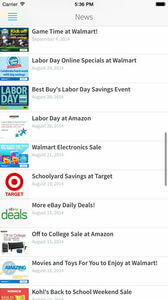 The Coupon App makes it easy to find all kinds of deals and coupons from all kinds of merchants. 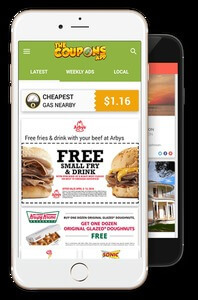 Those who are accustomed to clipping coupons and handing them to the cashier at check-out will find the Coupons.com app a familiar experience, but with less hassle. Search hundreds of coupons and add them to your account, then connect them with your loyalty cards so your savings is automatically deducted at checkout. Or, scan in your receipt after you make a purchase, and Coupons.com will send you your savings refund via PayPal. With Favado, you'll be clued-in on the latest sales as soon as they post. You can browse the weekly advertised sales or set notifications for specific items or brands you love and get notified as soon as they go on sale. 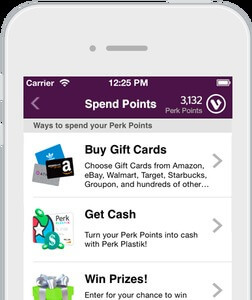 Apply instant savings coupons directly onto your loyalty cards and search for printable coupons through the app to maximize your savings. 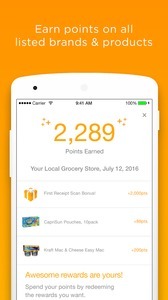 With this app, you can scan your receipts in for proof of purchase on specific grocery store products for points. You can scan your receipt from any store, but it will have to have the products the app is requesting to receive points. Fetch Rewards accepts a wide variety of products, but you may want to take a look before shopping to help you choose the brands you can save on. Once you've built up enough points you can redeem them for gift cards such as Visa, Barnes and Noble, Macy's, and more. If you share your grocery shopping responsibilities with someone else, this app allows you to share grocery lists to make sure nothing gets forgotten. And since most people buy extra, unnecessary items at the store each time they go, fewer trips means less unplanned spending. You can search for coupons and add them to your loyalty cards or save them for scanning at checkout. 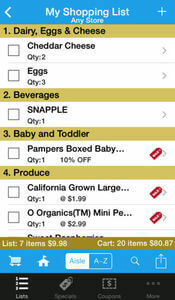 GroceryIQ will store your old lists and allow you to pick favorites, making it easier to create new lists over time. Grocery Pal clues you in on deals available from your local stores. 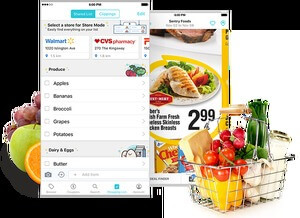 Not only are the weekly ads posted in the app, but you can build your grocery list in the app as well, and it will tell you if there are any deals on the items on your shopping list. You'll be able to browse ads, compare prices and organize your list based on aisle, categories, and even by store. So if you're planning on going to a few stores to score the lowest prices, this app will help you organize the chaos to maximize your savings while minimizing the stress. 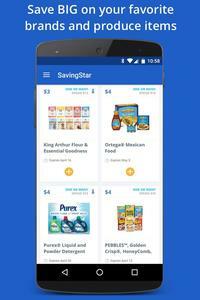 Saving Star is a cash-back program exclusively for grocery stores, providing extra cash on the items you're buying regularly. Simply browse the app, find the items you're planning to buy at your local grocery store, and then scan your receipt or use your linked loyalty card to get that money back. You can redeem earnings once you reach $5 via check or PayPal. 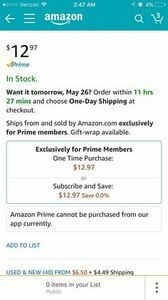 Amazon provides a great convenience with their Subscribe and Save feature. You won't have to remember if you're out of laundry detergent; just estimate how often you go through it and have it delivered automatically at just the right frequency. And the more products you subscribe to, the more you save – each purchase increases the overall discount percentage, up to 20% on some purchases. The app is free, but you will need to be a Prime member to take part in Subscribe and Save. Prime membership costs $99 annually. Get hand-crafted items you love at reasonable prices with the Etsy app. Although you can purchase practically anything from Etsy, it's particularly cost-efficient for personalized items. From customized digital items to home decor and personalized gifts, Etsy is a goldmine for shoppers who love to save. 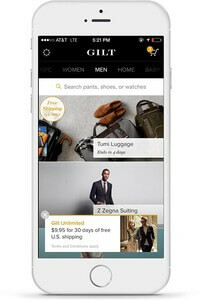 Gilt gives users access to luxury and designer brands, often at discounted prices. Brands like Valentino, Kate Spade, and John Varvatos are all included and offer up to 70% off their retail prices through this app. The browsing experience is tailored to your likes and tastes based on your brand preferences and shopping history. And, Gilt identifies additional deals specific to your local city. 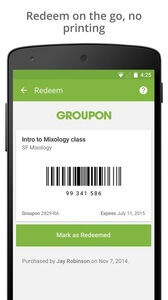 Groupon is a popular app for scoring deals on travel, goods, and local services. Local businesses use it to attract customers, and you can score amazing deals on swanky restaurants, traveling, and more. The shipping time on goods is often a bit lengthy, so you'll need to permit time for that, but if you're interested in saving a fortune on luxuries, Groupon is the app to have. This is the gift card app. Anything you need to do with a gift card can be done on this app. 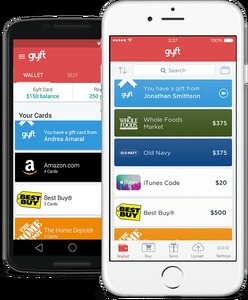 You can buy gift cards on it, you can store your gift cards, and spend them all through the Gyft app. You'll no longer need to worry about losing a gift card or trying to find the balance; as soon as you get a gift card, enter it in the app and you can track how much money you have at any time. This app lets you shop from over 1,500 different brands including Coach, Alexander Wang, Michael Kors, and so many more all in one app. You'll also get free shipping on every order plus up to 4% cashback on every purchase. 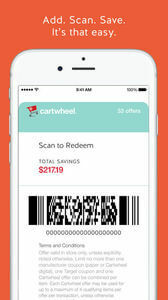 Once you create an account with Target (and subsequently Cartwheel) you'll be able to browse items on the app that are eligible for extra savings. For example, there may be an offer of Revlon Eye Cosmetics for 30% off or Orbit Gum 50% off. You can add up to 10 of these discounts to your account, and then you'll receive a barcode. At checkout, simply scan the code to receive the discounts. You can log on and change your discounts applied but the barcode will stay the same, so if you choose, you can even print it, laminate it, and reuse as much as you see fit. 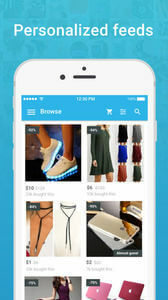 This app is a wonderful app for the thrifty shopper with designer taste. You can buy (and sell) slightly used, high end, designer clothing and save big while doing so. 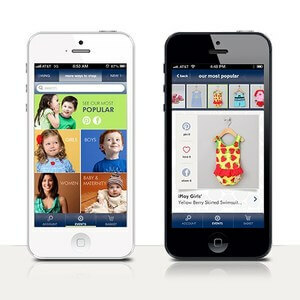 The app includes clothing, accessories, home goods, and even art. 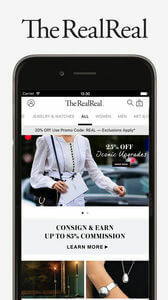 Sellers earn up to 70% of the sale price and buyers get up to 90% off retail by using The RealReal. It's win-win for those who just can't say no to the latest designer fashion trends. This app will help you utilize Walmart's Lowest Price Guarantee without having to scour the local ads or stand in a long customer service line. In fact, all you have to do is download this app, scan your receipt, and they'll take care of the rest. 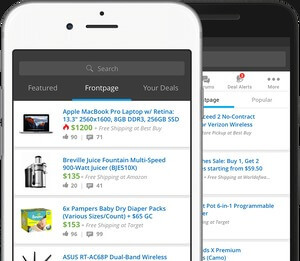 Once you've uploaded your receipt, the app will automatically search top competitors for advertised deals that would beat any of the items you bought from Walmart. If there are items that you paid more for, then Walmart's Savings Catcher will give you the difference – either immediately on an eGift card, or you can choose to build them up over time. You'll never believe how inexpensive you can find some of the most popular items with the Wish app. New shirts for $3, electric nail buffers for $1 – the deals are insane. You may need to spend some time digging through the large quantity of products, but if you're looking for gift ideas and want a sensational deal, this is the way to go. This app has gained in popularity significantly in the past few years. Originally, it was known primarily for great deals on kids' clothes, but there's much more to be found here. Zulily also offers deals on home goods, women's and men's apparel, shoes, toys, and more, all at fair to deeply discounted prices. Shipping times can be a bit lengthy, as Zulily acts as a middleman for most of the products they sell, and the seller has to send products to Zulily before Zulily ships them out to customers. Shipping times aside, Zulily offers some amazing deals on fabulous products across a broad range of categories.